What would you when you see and lion running towards you? You run! 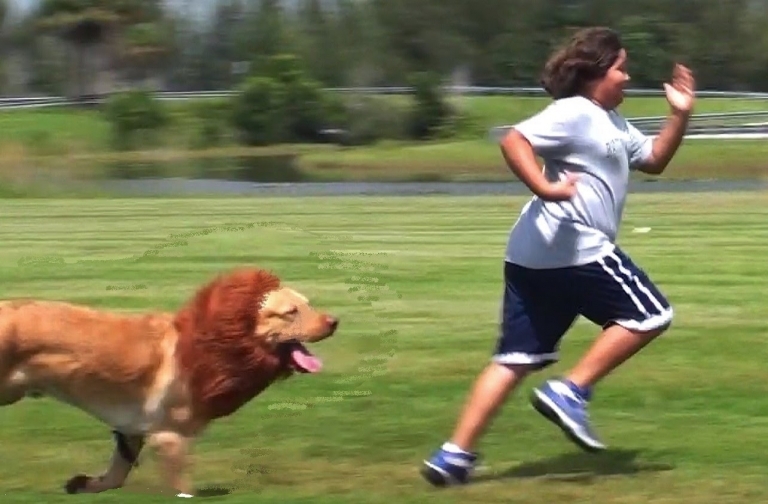 But what would you do when you see a dog-lion running towards you? You run too! Sinclair's Script for Their Stations: "This Is Extremely Dangerous to Our Democracy"
70 People Ages 5-75 Answer: What's the Hardest Thing You've Ever Done?